In this article we will make a I5 4670 vs I5 4690 vs I5 4460 Processors Comparison and try to define which is the best in terms of quality, how well they all perform when gaming & which is the most money efficient processor, hopefully, this will clear some doubts as I’ve seen this question asked a thousand times before on several forums, I will be showing some FPS benchmarks of all the processors, compare their overall performance & determine how money efficient each CPU is depending on their price & overall performance in this I5 4670 vs I5 4690 vs I5 4460 Processor Benchmark. The I5 4690 is, in theory, the “strongest” of these three processors, after all, it’s a newer & upgraded version. However, we want to determine how much of a difference regarding FPS there is when playing games & how efficient it is when compared to the other 2. This processor is quite the beast regarding single core performance, with the unlocked version it can even reach 4.4-4.5Ghz Clock Speeds, all while only needing 84 Watts to run it without problems, however, these are just numbers & theory, how well does it fare in a gaming FPS benchmark? As you can see it even outperforms a few I7 on Anno 2070 however it’s not unusual for some I5 to outperform I7’s since most games still can’t use hyper threading and there’s a ton other variables, however, it obtained an average PFS of 52.9. 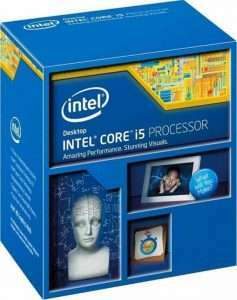 The I5 4670 is supposed to be an earlier version of the I5 4690, while there’s little to no difference, the price difference may be meaningful to some and hence, why this comparison is so important, we will show the results of how well the I5 4670 performed and compare the results with the previous CPU. As you can see, the I5 4670 has in average -100Mhz Clock Speed than the I5 4690 both in Base & Turbo Clock Speed, other than this we couldn’t find any relevant differences worth noticing between the two, and the same thing could be seen in the graph above, the I5 4670 has an average of 51 FPS, which is -1.9 FPS less than the I5 4690, both being the same price we definitely recommend purchasing the I5 4690. Since we have ruled out the I5 4570 due to being the same price as the I5 4690 while underperforming we will now compare the I5 4690 and the I5 4460 to see which is the most money efficient since, as you probably guessed, the i5 4690 is better regarding speed. As you can see the I5 4460 has -200 Base Clock Speed & -500 Turbo Clock Speed, these numbers make quite the difference but are they worth paying the extra 41$ difference? As you can see there’s hardly a difference between the I5 4690 and the I5 4460, the difference being 2FPS at most in average. However, these results may change depending on games as some games are more CPU heavy than others, and you may notice ~5FPS difference up to 7 or 8 max. After all the results were processed we reached a consensus in our I5 4670 vs I5 4690 vs I5 4460 Comparison, without a doubt the I5 4690 is a beast and clearly the best performer of all 3, however, that was already expected, what we didn’t expect to see was how there was a difference between the first 2 CPU’s while both being the same price, we definitely recommend you not to buy the I5 4670 as it’s just not worth it under any circumstances when you can get a better one for the same price. The I5 4460 was without a shadow of doubt the most money efficient, having a small difference of ~2-5 FPS from the top performer while also being 41$ cheaper. Depending on your budget, you should’ve already made up your decision on which you want to purchase, both the top performer & the I5 4460 are great CPU’s and well worth the money.